As a competitor in the sport of Triathlon, I have experienced many emotions and broken through many barriers. 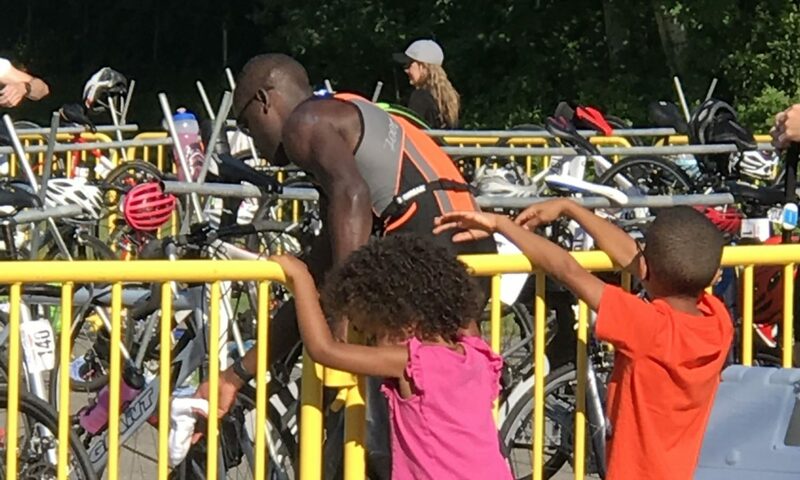 I enjoy sharing my unique perspective of the journey to embracing a Triathlon lifestyle. In a sport that glorifies individual achievement, I have learned that no one competes in a bubble. Rather, accomplishments are the result of multiple interactions that are to be recognized and cherished. As you are introduced to the sport of Triathlon, you may be seduced by the allure of all three events, Swim Bike Run! However, it is the fourth dimension, mental fitness, that is the true gatekeeper to Triathlon Glory. Without your Health, you have no Wealth! From the moment you begin triathlon training, your physical and mental health may begin to transform in ways you wouldn’t have imagined. You may find yourself reading nutrition labels, shopping at the perimeter of the grocery store, exercising three to four times a week, and in the process becoming a healthier, more fit version of yourself. Start with the end in mind. This is a simple but often overlooked axiom of life. However we do best when we have something to strive for, something tangible that once reached, we can celebrate with others. Goals help clarify the steps and path needed to obtain success and achieve excellence in all that we strive for. Run: Shoes, Socks, Running Shorts, Watch with/without HR monitor…. If an event is well planned and executed, all stakeholders will have a smooth race day experience. Gain an inside look at what it takes to coordinate a well produced event, including partnering with local community officials and organizers, course selection and signage, sanctioning, event promotion, registration and packet pickup, post race activities.